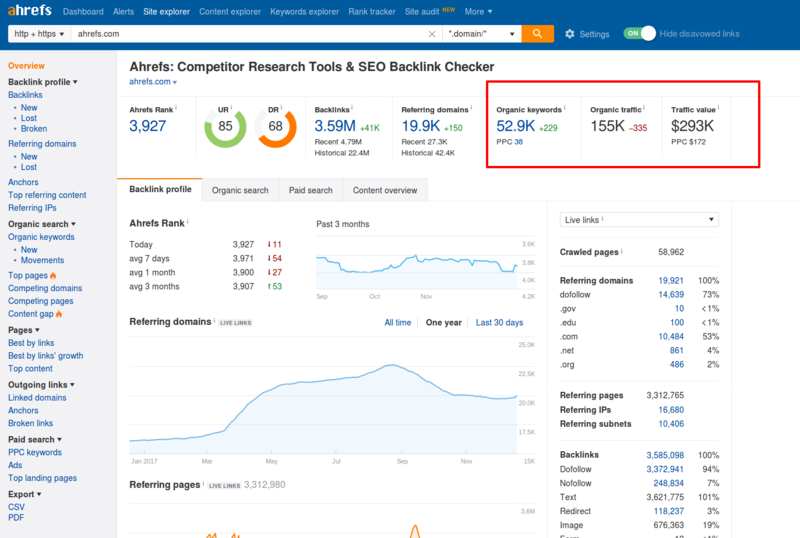 As you can see on the screenshot above, ahrefs.com ranks for 52.9K keywords, which together bring in 155K organic monthly visits from search. The number of organic search traffic that you see is our estimation. 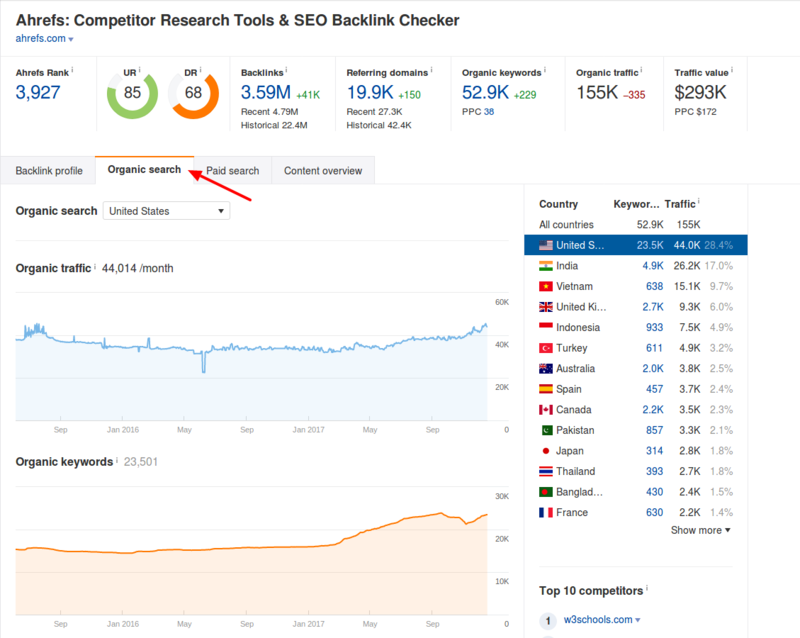 We calculate it based on monthly search volumes of keywords and positions that a given website holds for those keywords. If you switch to the Organic Search tab of the Overview report, you’ll see a detailed graph of organic traffic stats. You can switch to individual countries or see the total traffic for all countries. Please note that the actual traffic numbers you can find in Google Analytics are usually higher. It’s virtually impossible to include all search queries that people use into a single database. Therefore, we tend to underestimate a number of keywords that a website’s ranking for and as a result — its search traffic. That’s why we recommend using these numbers to compare websites with each other. The exact values may be different, but if one URL has three times more of organic traffic than the other one, that ratio is true. You can read about other ways to see how much traffic a website gets in this article: Find Out How Much Traffic a Website Gets.